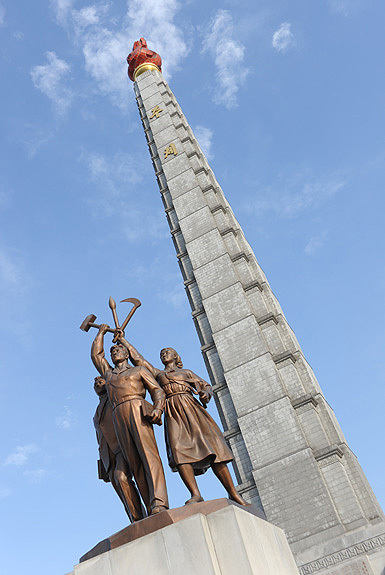 Korean monument to Sure Victory near the Tower of the Juche. 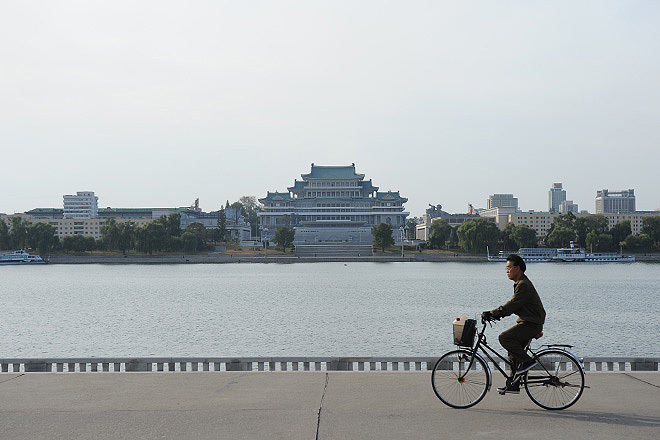 The view across the Taedong River of Kim Il-sung Square and the Grand People's Study House on the opposite side of the river. 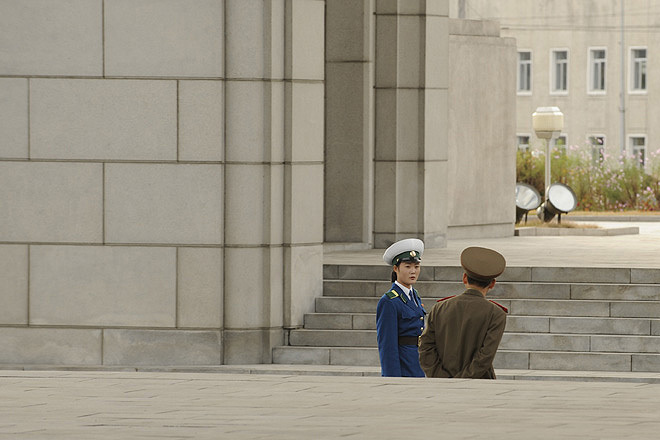 A police and army officer at the Arch of Triumph in Pyongyang which was built to commemorate the Korean resistance to Japan from 1925 to 1945. 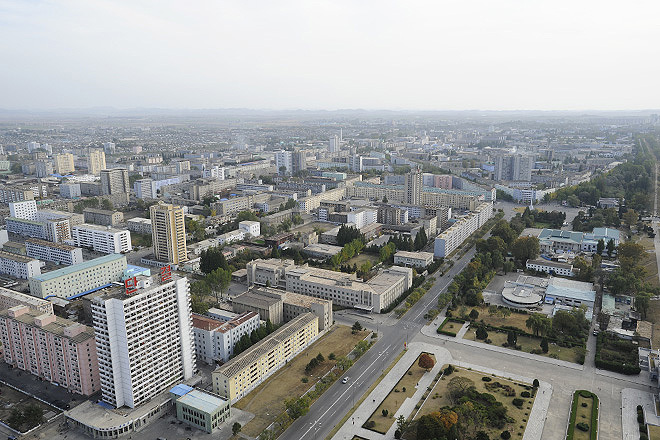 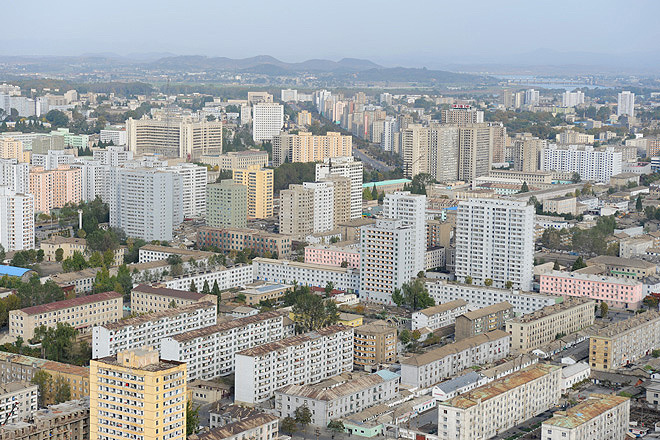 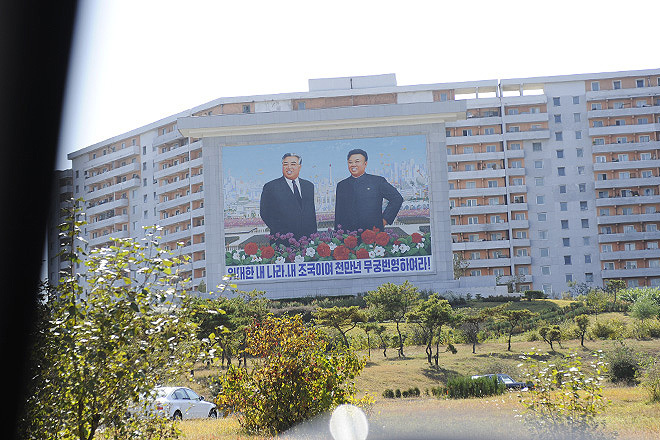 Apartment buildings in centre Pyongyang. 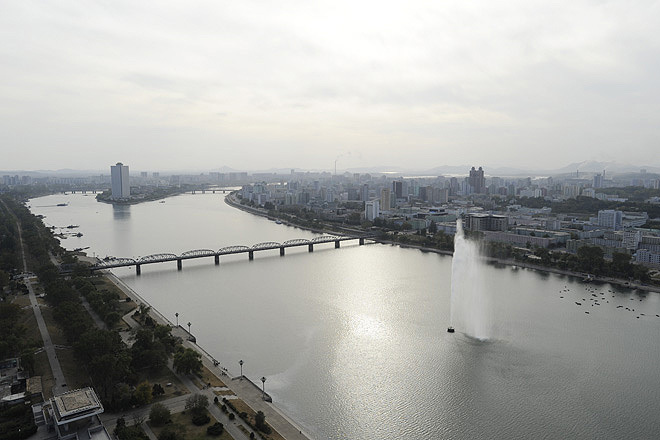 Taedong River from the Tower of the Juche, Pyongyang. 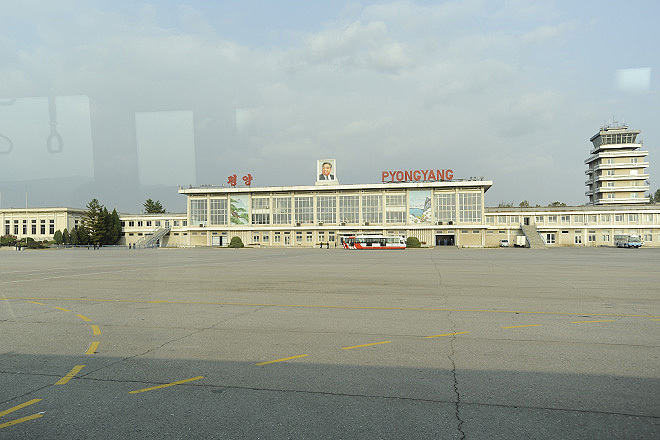 Main Terminal, Pyongyang International Airport. 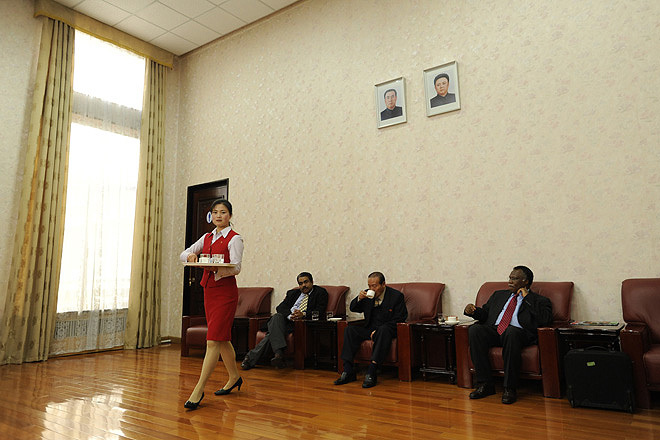 Vip lounge at Pyongyang International Airport. 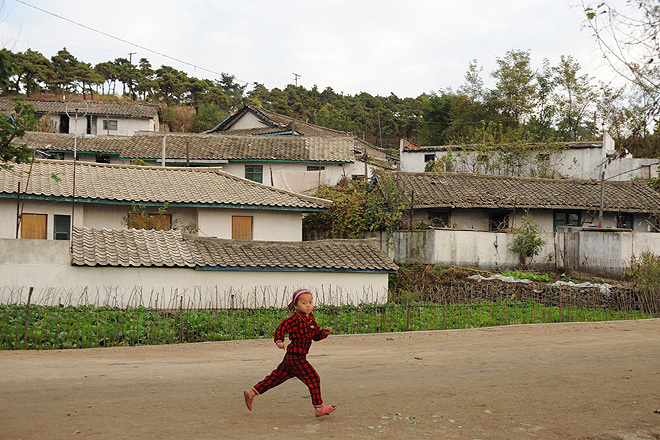 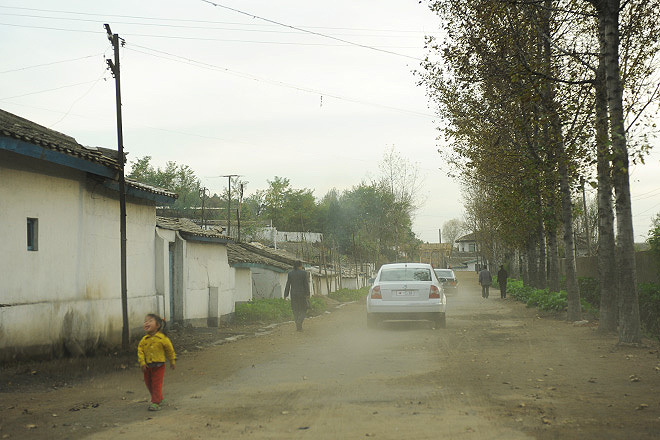 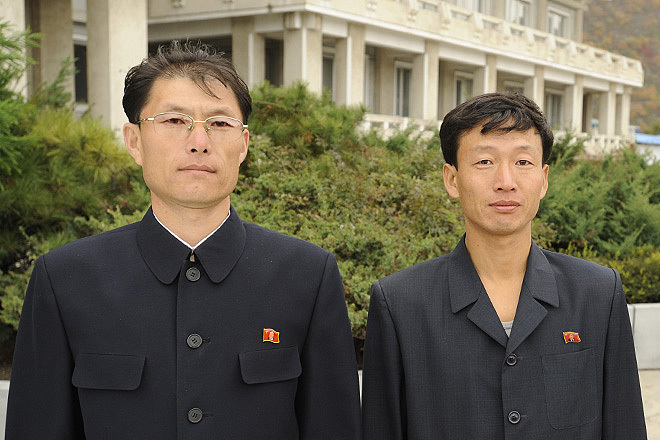 Nangnang district, a small village about 20km from Pyongyang. 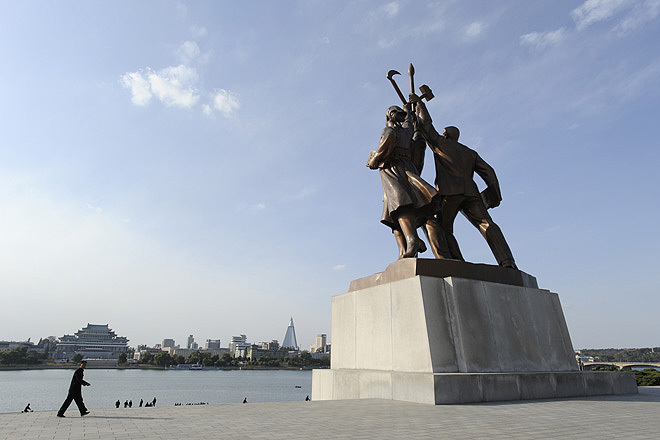 Korean monument to Sure Victory by the Tower of the Juche. 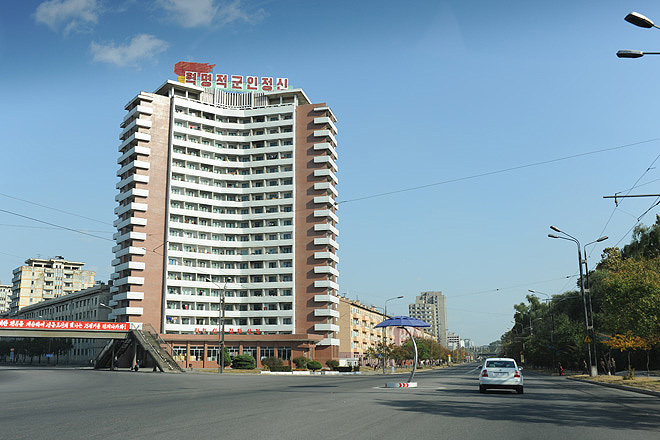 Apartment Building in Downtown Pyongyang North Korea. 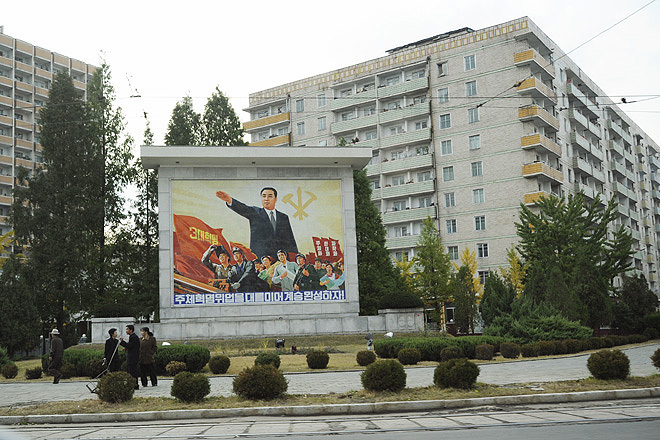 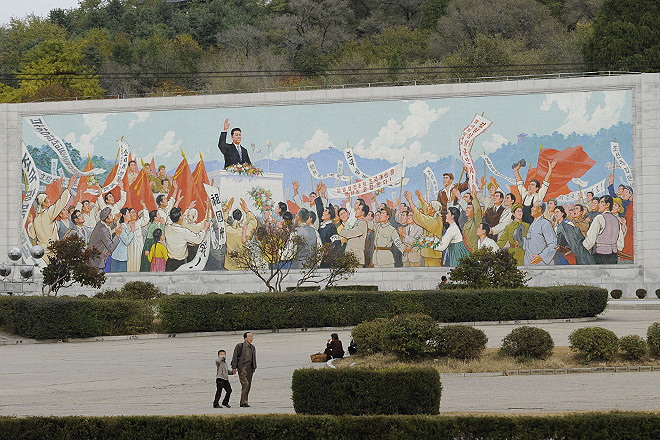 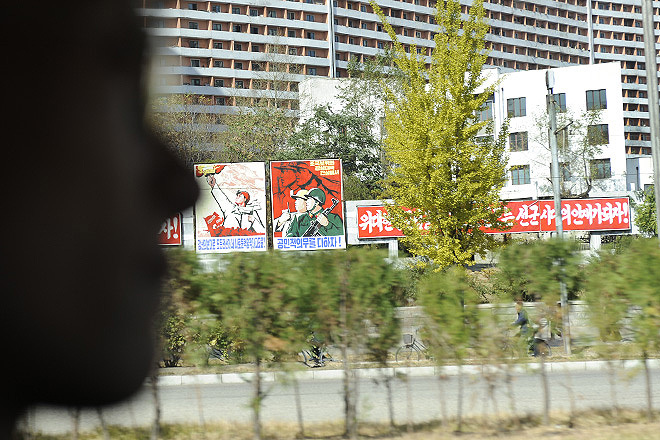 Kim Mural, North Korean propaganda are crucial to the formation and promotion of the cult of personality centered around the founder of the totalitarian state. 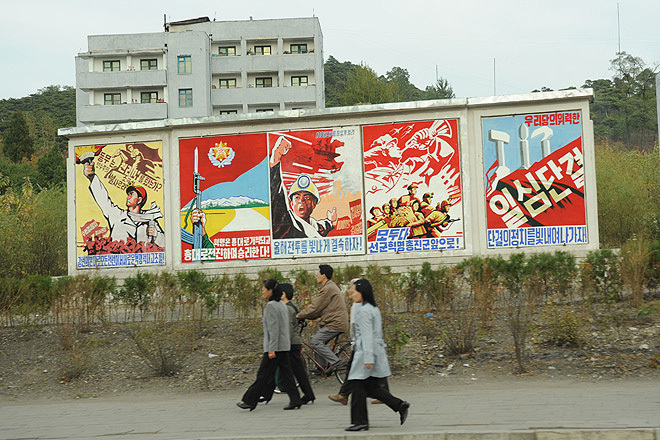 Murals and Posters are crucial to the formation and promotion of the socialist state. 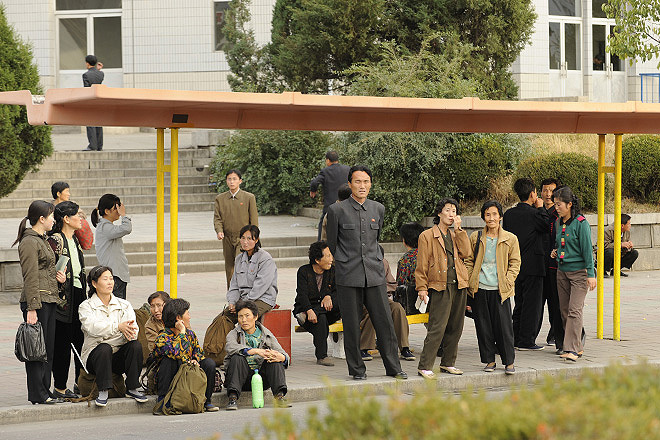 North Korean waiting for the bus in Pyongyang. 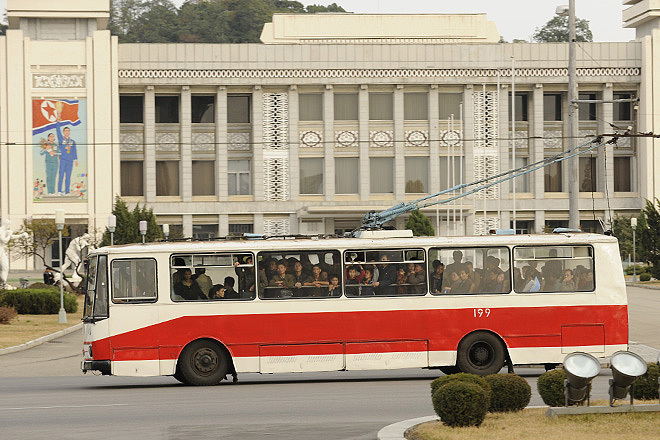 North Korean commuters ride in a crowded bus in Pyongyang.